Provide the Beauty in your life with an incredibly detailed Hot Toys Disney Belle Disney Sixth Scale Figure from Sideshow Collectibles. This enchanting doll is expertly crafted based upon Emma Watson's appearance in Disney's live action adaption of Beauty and the Beast as Belle. It features a meticulously tailored and intricate multi-layered costume based upon her elegant ball gown along with a variety of accessories and a specially designed marble-patterned figure stand. This doll is sure to delight any Disney Princess fan! Disney Belle Disney Sixth Scale Figure is approximately 26 cm tall and has 26 points of articulation for imaginative play and poising. It includes 6 interchangeable hands including relaxed hands, gesturing hands, and ones that can hold the included enchanted rose. The doll's head sculpt is specially hand-painted with a highly-accurate facial expression. The figurine's dress is a slim-fitting lacy yellow bodice delicately woven from multiple layers of fabric. 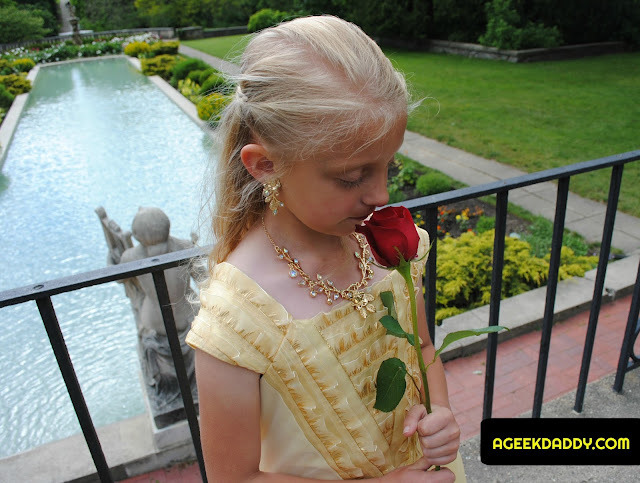 It also includes a bell-shaped yellow satin full skirt. Plus the doll wears high heeled dancing shoes and the necklace Belle wore in the movie. Belle comes complete with an enchanted rose, a transparent bell jar to hold it and display stand for the doll covered in patterns modeled after the ballroom's marble dance floor. Her enchanted friends, Lumiere, Cogsworth, Plumette, Mrs. Potts and Chip also come along with this incredible Disney Belle Disney Sixth Scale Figure. Don't miss out on getting one of these dolls before they sell out. Pre-order now to ensure you can get your hands on one when they arrive from the manufacturer. 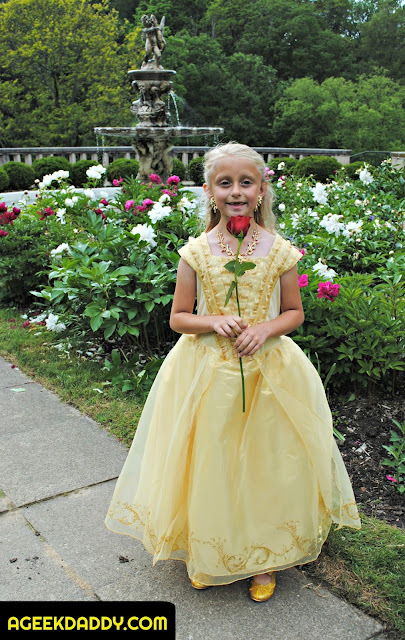 If your daughter, wife, or another lady in your life loves Beauty and the Beast as much as my little princess does, invest in a high quality toy that can be enjoyed for a lifetime. 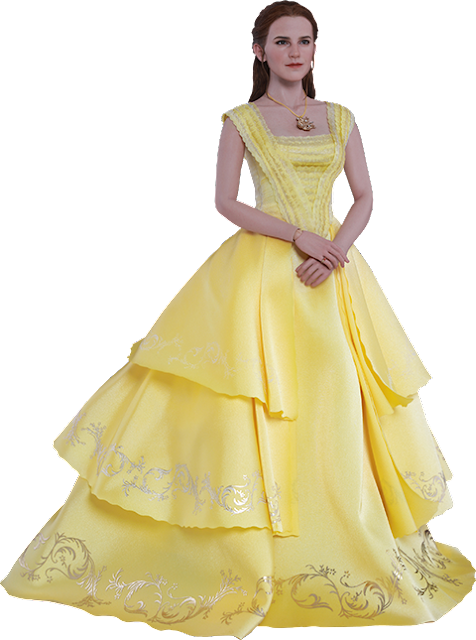 I know someone who will be wishing for one of these Disney Belle Disney Sixth Scale Figure!